The German manufacturer has been working with the French car group PSA Peugeot-Citroën for many years. 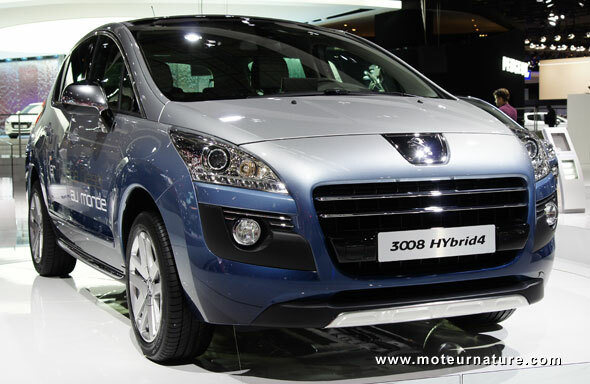 The car above is a Peugeot 3008, its gasoline engine is the same one you can find in a Mini. A turbocharged and direct-injected 1.6-liter four cylinder, it’s a nice little engine doing its job without requiring much fuel. The 2-manufacturers have already agreed to make a new generation for 2014, but here’s something very different, and quite unexpected, they will expand their cooperation by including hybrid systems and components. It’s unexpected because all BMW cars are rear-drive with a longitudinal engine, whereas all Peugeot are front-drive with a transverse engine. It’s so different that no hybrid components could be shared between these 2 architectures, and BMW leaves no doubt about it. The Bavarian company says this agreement with PSA is about front-drive cars. WHAT? A front-drive BMW? This would have been impossible a few years ago, but there’s been rumors about a front drive BMW for several months now, and this confirms that they are founded. Or could it be about a forthcoming Mini hybrid? BMW and PSA don’t give any details yet, but I can try to guess about the hybrid technology the 2 companies could share, and I quickly find the Hybrid4 system Peugeot is about to launch on its 3008, with the 508 following soon after. The Hybrid4 technology is very open, it can be fitted to any front drive car, no matter it’s gas or diesel, and it’s largely outsourced from Bosch, that BMW already knows well. The great point about the Hybrid4 architecture is that it hardly changes anything under the hood. Its main feature is that it adds small electric motors inside the rear wheels. So depending on what the software commands, the car is front drive, rear-drive or all-wheel drive, doing what it should to be the most efficient, or the fastest if the driver asks for it.